An American-British usage experiment: please participate! Glosso readers: may I ask for your help and input for a little usage exercise? It’s fun, and it shouldn’t take more than a couple of minutes. (And I mean that in the British rather than the American sense.) I’m trying to determine whether a certain usage trend is disappearing in the UK while remaining healthy and robust in the U.S. Please read these four sentences, which are nearly but not quite identical, and then answer the questions that follow (in the comments section below). There’s no “right” or “wrong” here: just answer honestly and without too much thought. Next week we’ll look at the results and what they might suggest. Q2: Do any of the sentences look strange or “incorrect” to you? (Let’s not give any explanations until we’ve gathered some reactions; we’ll examine the whys and wherefores in a follow-up post.) If so, please specify which sentence(s) you’d be inclined to edit. Q3: Can you tell from any of the sentences how many of the three designs are round? If so, please identify the sentence and the number of round designs. This entry was posted in Punctuation, Words, phrases & expressions on January 20, 2015 by Louise. 2. All four sentences look a little strange, but sentences B and D seem to make the most sense. The others need work. 3. Sentence D gives the clearest sense that there are two round designs. C) is not acceptable. Howevef, I am currently reading an American book that does that sort of thing with brackets (unless it’s a comma splice). A & B) 2. D1. 2. The second comma in C and D jarred at first sight, but then made some sense if I assumed that “the one” had been elided from the text immediately afterwards. In this particular usage, I personally see no difference between “which” and “that”, and use the two words interchangeably. 3. 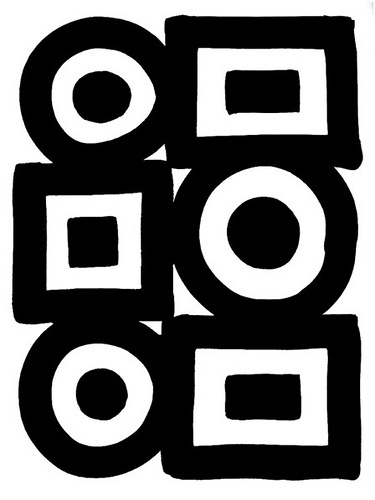 A & B both imply two round designs; C & D suggest 1 round, one square and 1 unspecified. Spent first 22 years of my life in England; remainder (almost 20) in the US. A and B are OK.
C and D are not. A and B; can’t tell how many are round. C and D seem to imply that only one is round. The round design, which bled outside the page border, was the one I preferred. A2. A, Β, D are all acceptable to me. However, A is somewhat better than B, and D is fine in writing but I wouldn’t say it. A3. A and B suggest that there are two round designs, but don’t guarantee it. D is only good if there is exactly one round design. I’d accept A, B and D, but not C.
I am British but lived in the US for four years a long time ago. ‘C’ looks odd but not necessarily wrong. A and B indicate more than one round ones. Sentence C feels wrong–I would never write that. Sentence B isn’t wrong, but feels awkward. A and B: two round designs out of three. C: one out of three. It took some thought to answer this one! British, and a teacher of BrE. A, B and D are fine, but that C isn’t. But I have to disagree with Bill Bukowski about D – it seems to me there are three different shapes here: ‘the round one, which bled outside the page border’ , the square one, and another unnamed shape. It’s A and B that suggest that there are two round designs, as Rex has said. 1.Neither and both – lived in UK for 6 years and US for 7 years. 3. To me they all indicate there could be two round ones but A seems to say clearly that there are two round ones. Thanks, everyone, for your input: very interesting so far! I’ll do a follow-up post at the end of this week. In US usage, B and D are considered incorrect. B needs a comma before ‘which’ while C needs the comma before ‘that’ deleted. A implies two round designs; B implies only one. As an editor, who has Americanized many British books, I’m a bit of ringer on this. I say D is the most correct. I would edit the other 3. Three shapes, 1 round, 1 square, 1 unidentified shape. None of the sentences seem incorrect. A and B seem to indicate that there are two round designs. 1. American, but dating a Brit for the last 2 years. 2. C and D look incorrect to me. 3. A and B seem to indicate that there may be two round designs, with only one bleeding outside the page border, but it is not possible to determine for certain from any of the sentences.